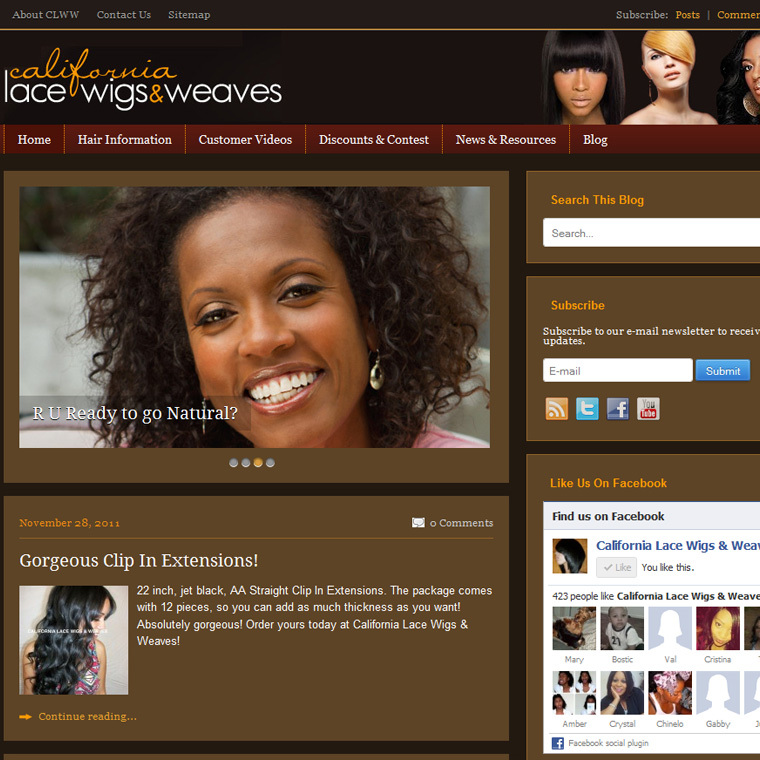 I customized a beautiful, easy to use wordpress theme for CaliforniaLaceWigs.com’s new blog. This displays social media, and featured posts easily and beautifully. See full preview here, or click on the image to view the live blog.